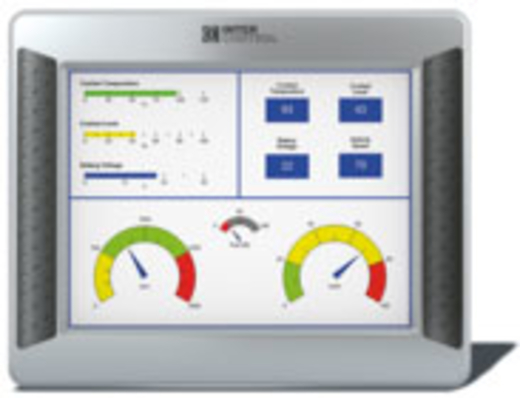 Inter Control (Germany) provides the CANopen-connectable Digsy PMS process control and monitoring system for mobile applications e.g. in off-highway machines. 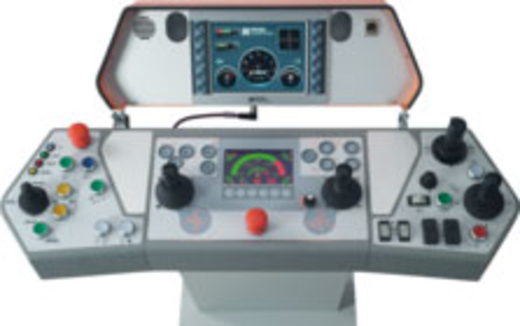 It consists of the Digsy MTC-GB control unit and the Digsy MTC-Terminal. The IP67-rated control unit provides four high-speed CAN interfaces supporting CANopen, J1939 or CAN layer-2 protocols. Bit-rates from 20 kbit/s to 1 Mbit/s are possible. Further interfaces include two EIA-232, Ethernet, USB, a display connection (two connections possible), six camera inputs (FBAS) as well as two digital inputs and outputs. The unit is based on the 400-MHz MPC 5200 32-bit micro-controller. It provides a 32-MiB SDRAM (expandable to 256 MiB), a 32-MiB Flash-EPROM, and a 1-GiB CF card (4-GiB option). The device allows for independent system monitoring and incorporates a graphic controller, a 64-bit floating-point unit, a real-time clock, a programmable push button and 12 status LEDs (six of them are programmable). Operating voltage of 8 V to 32 V is possible, while the operating temperature ranges from -40 °C to +70 °C. Programming of the machine functionality, visualization and operation functions is done according to the IEC 61131-3 using the integrated Codesys (version 3) programming environment. Linux is available as an optional operating system. The IP65-protected terminal features a TFT color graphic display, which is available in sizes of 8,4 inch, 10,4 inch and 12,1 inch. The resistive touch-screen has a scratch-proof glass surface. The device is specified for operation at temperatures from -30 °C to +80 °C. The company also offers customer-specific CAN-capable operator panels featuring an outdoor-suited surface with backlight and one or two joysticks. A display can be incorporated into the panel. The weather-proof and durable housings are suited for harsh environments. 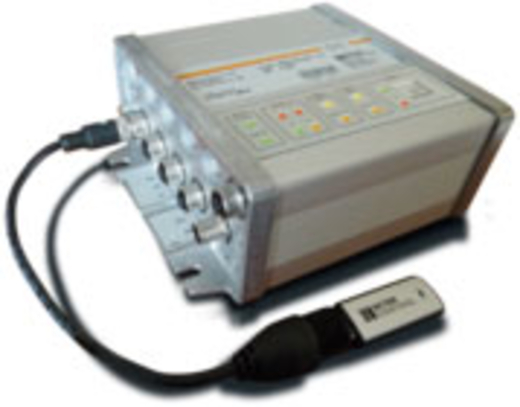 Manufacturer’s CANopen-enabled (20 kbit/s to 1 Mbit/s) inclinometers without moving parts are suited for mobile applications (IP67-protected) with extreme shocks and vibrations. Two M12 connectors (CAN-in, CAN-out) are used for the connection to the CAN network. The design (91 mm x 61 mm) admits mounting on nearly every location. Two-axes variants with measuring ranges of ±20°, ±45°, and ±60° as well as a one-axis model for 360° are available. The measuring ranges have been aligned to the requirements of cranes and aerial work platforms.